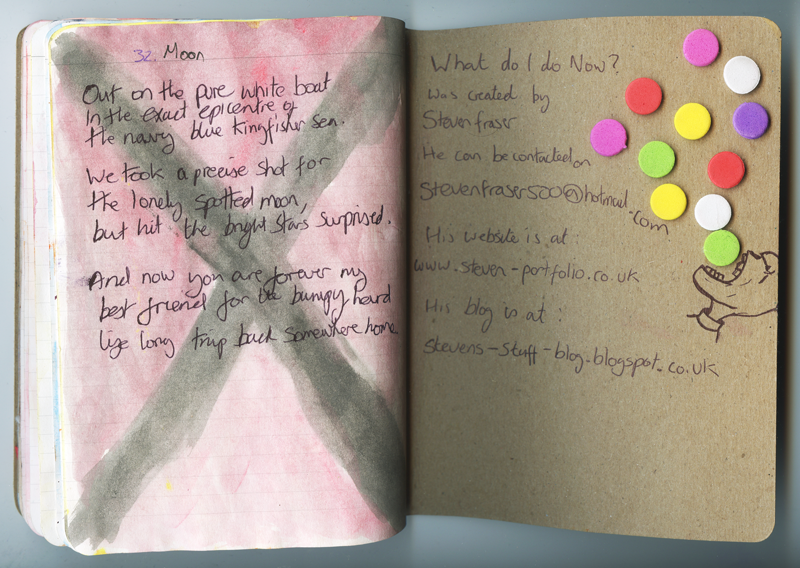 As mentioned earlier I have created a poetry book for the Verse on Paper project from the New York Art Collective – The Sketchbook Project. Some of the poems are below. 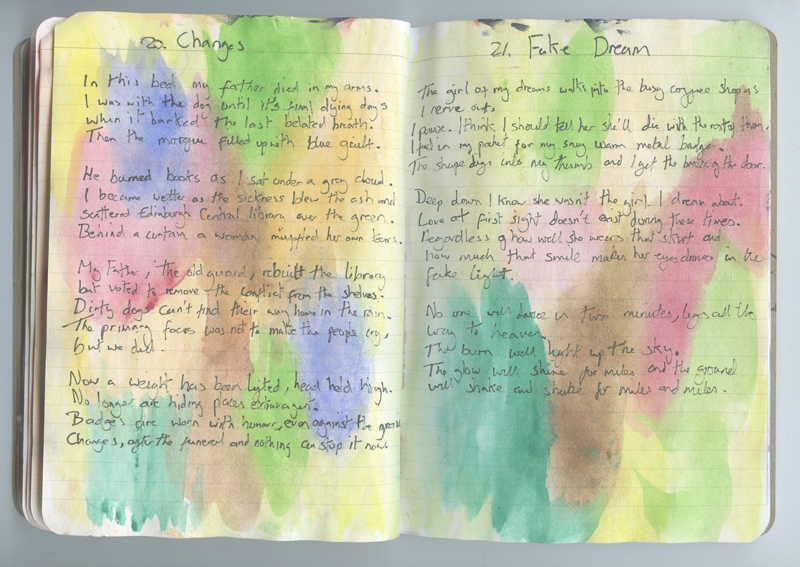 For this project I illustrated the poems. Verse on Paper was a poetry project from the Brooklyn based art collective The Sketchbook Project. Here is a list of all the exhibitions I took part in during 2013. 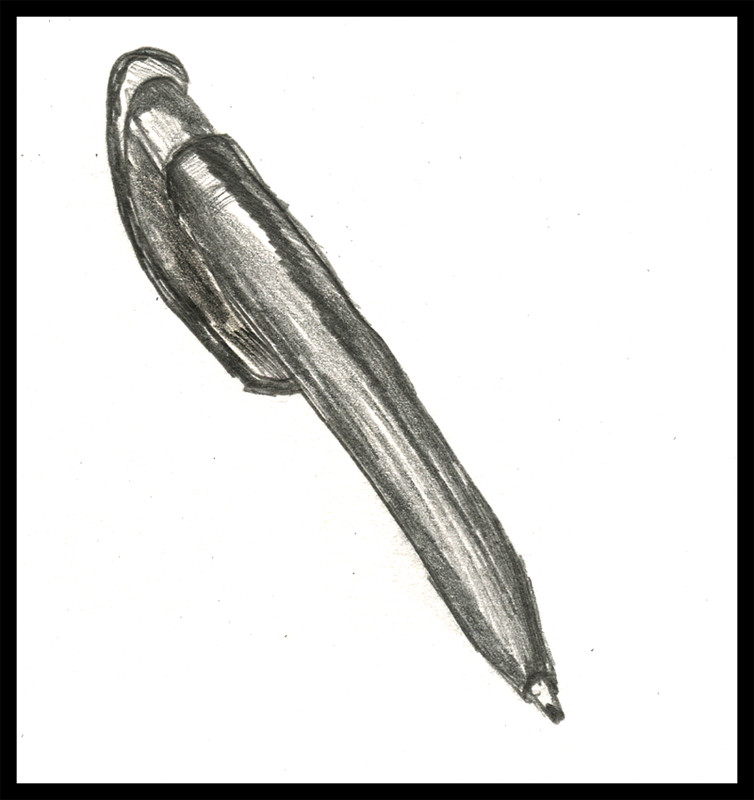 A downloadable zine of illustrated poetry is available at the Franklin Poems website. This collects the first 10 poems in the Franklin Poems project. Currently I am in a special Exhibition involving cardboard. The exhibition is called Discardboard and it is taking place at the Forest Centre Plus art space in Edinburgh. 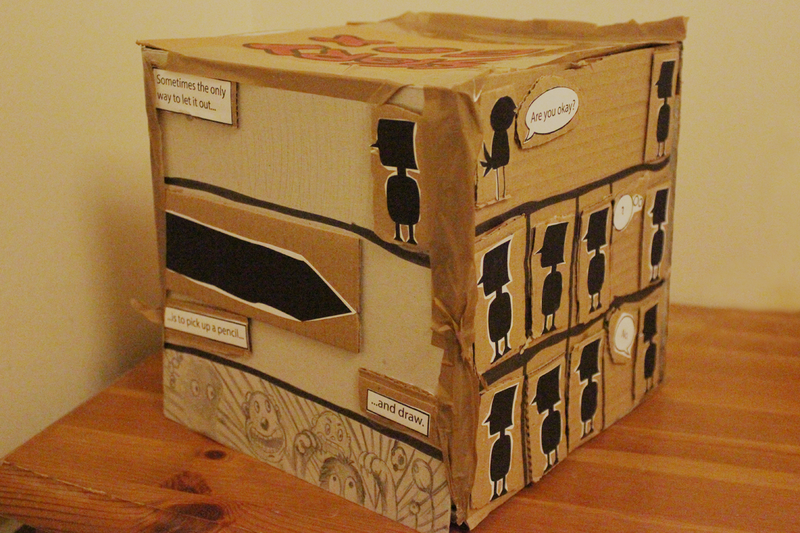 In total 40 artists are exhibiting work and I am presenting Story Box – a comic book made out of cardboard. Story Box is an experiment in taking comic books away from the page and the digital and presenting them as a physical object. 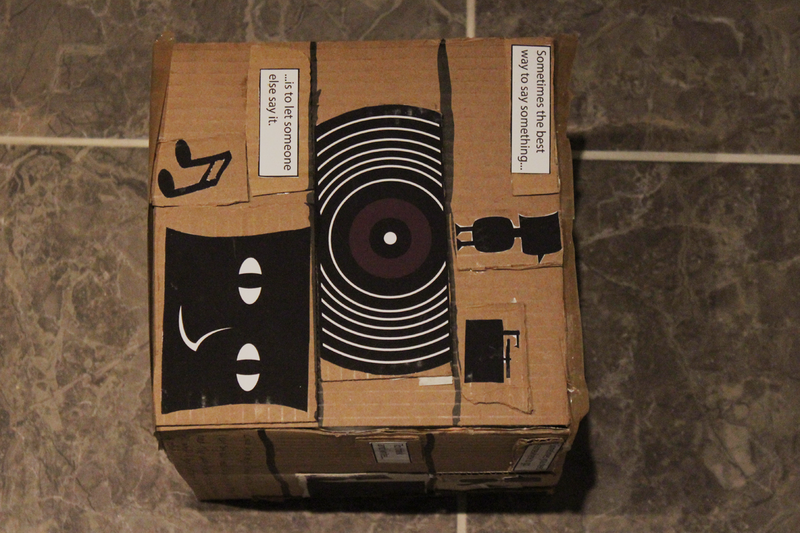 Cardboard seemed like the perfect medium to do this. It is customisable, durable and cheap. 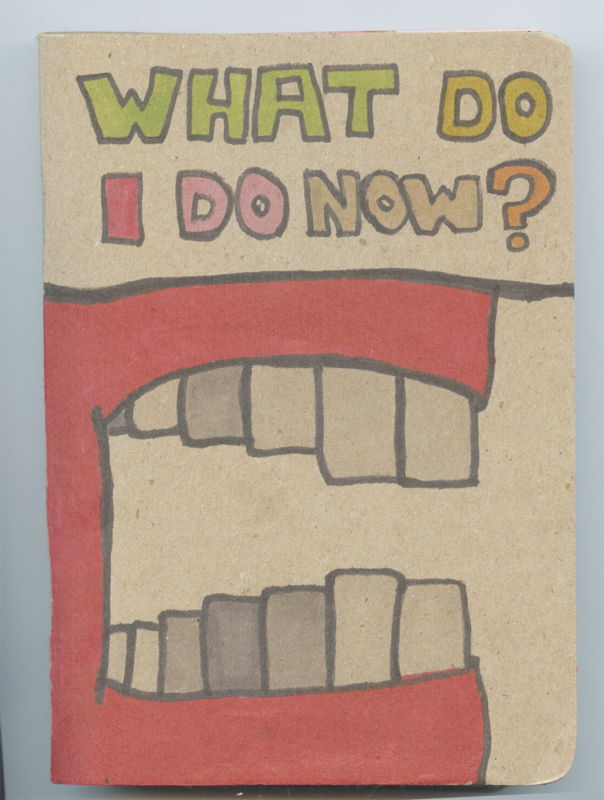 I developed a 4 page story that could be read in any order. 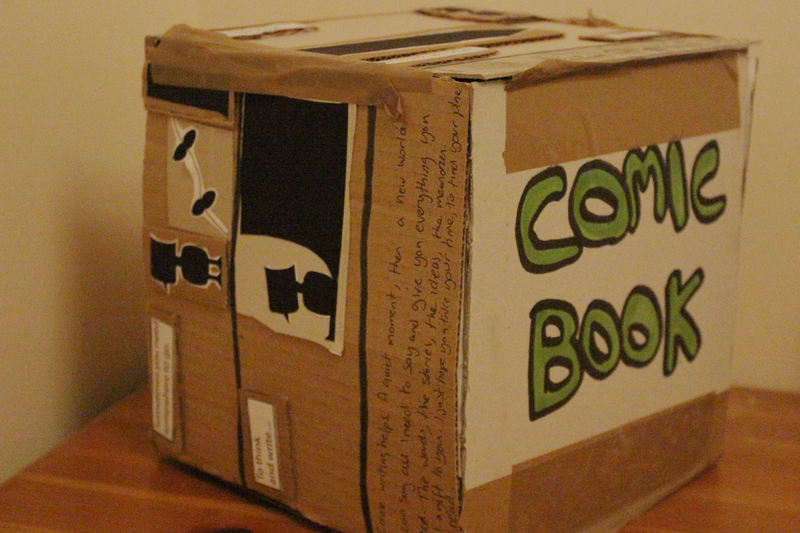 The content of the story reflected the experimental nature of the Story Box comic book. The story involved a young boy who could not communicate. The exhibition will be held on 17 – 26 January at Forest Centre Plus, 38 Castle Terrace, Edinburgh, EH3 9SJ. 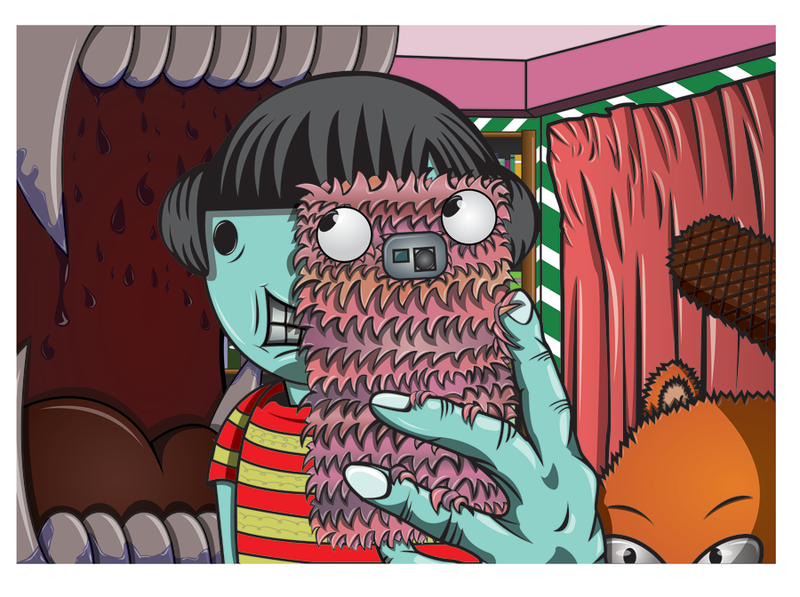 Here are some images from Private Play number 6 – Invasion ASAP. 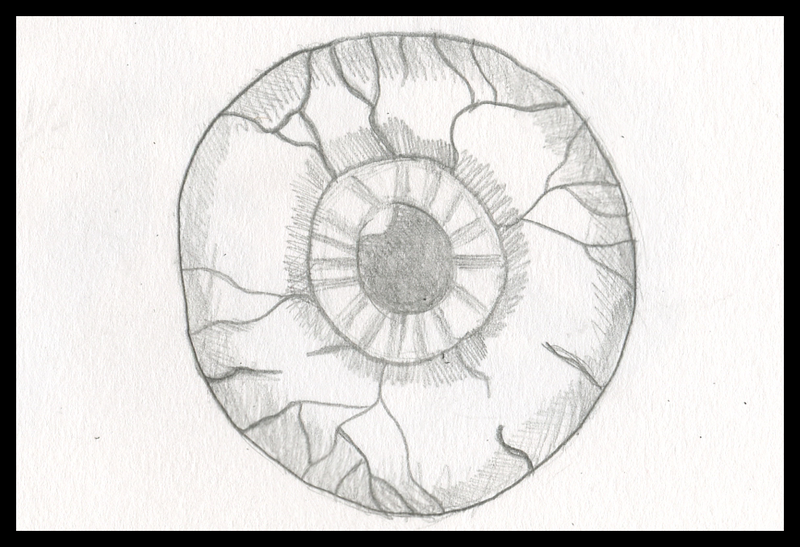 The images below are taken from the sixth script.